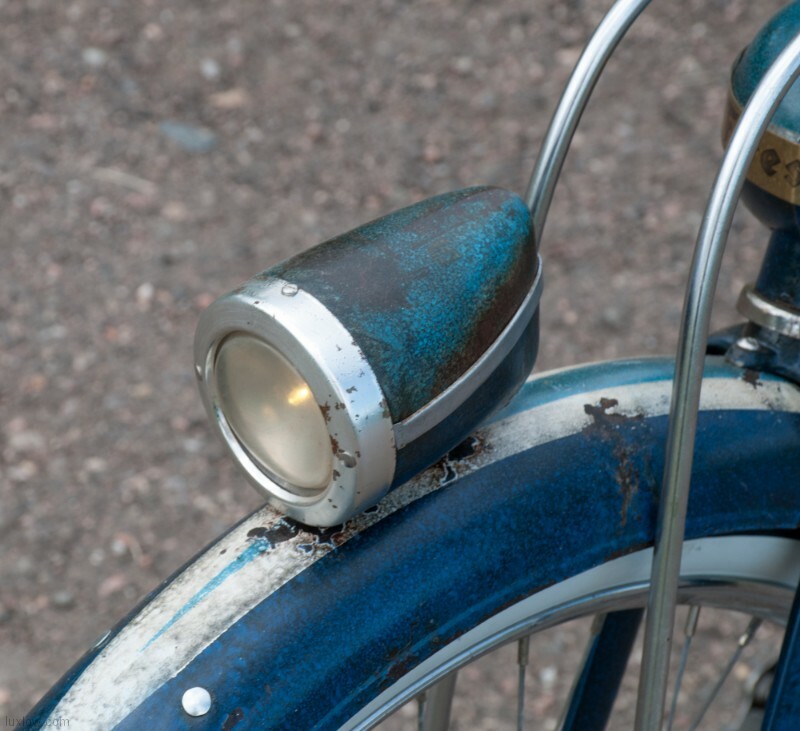 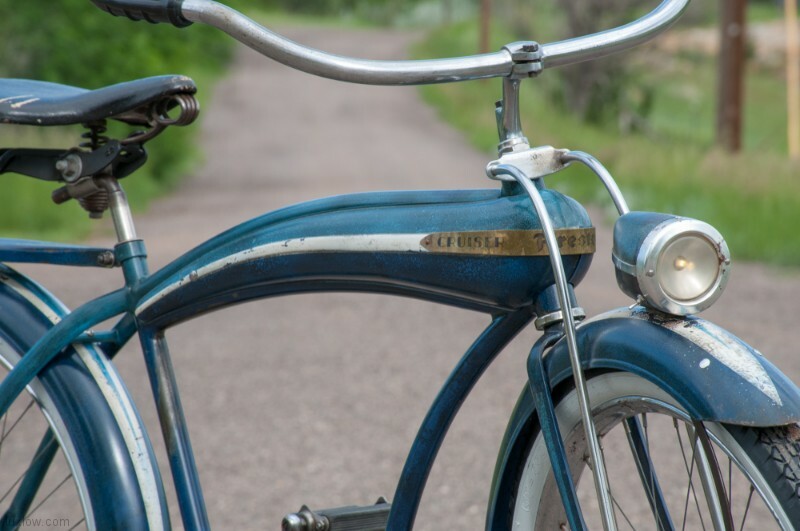 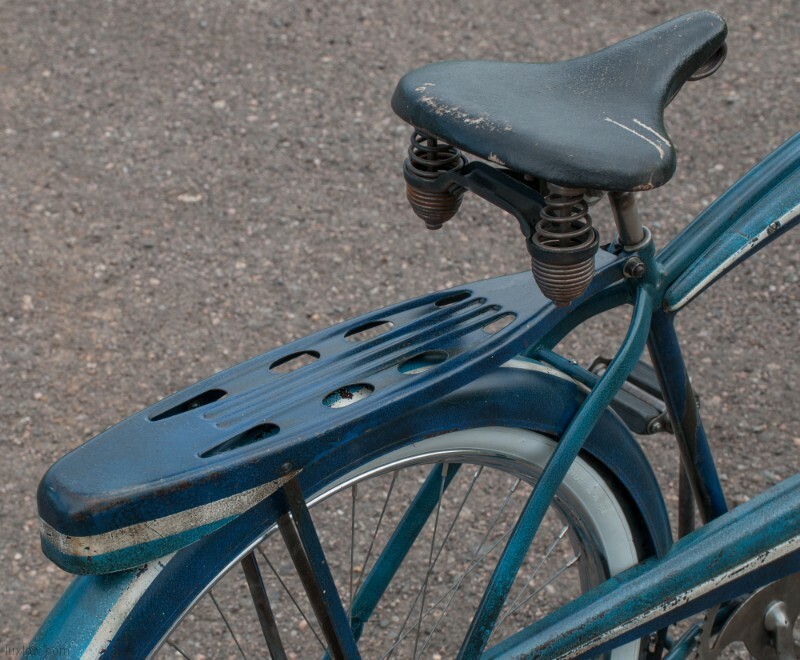 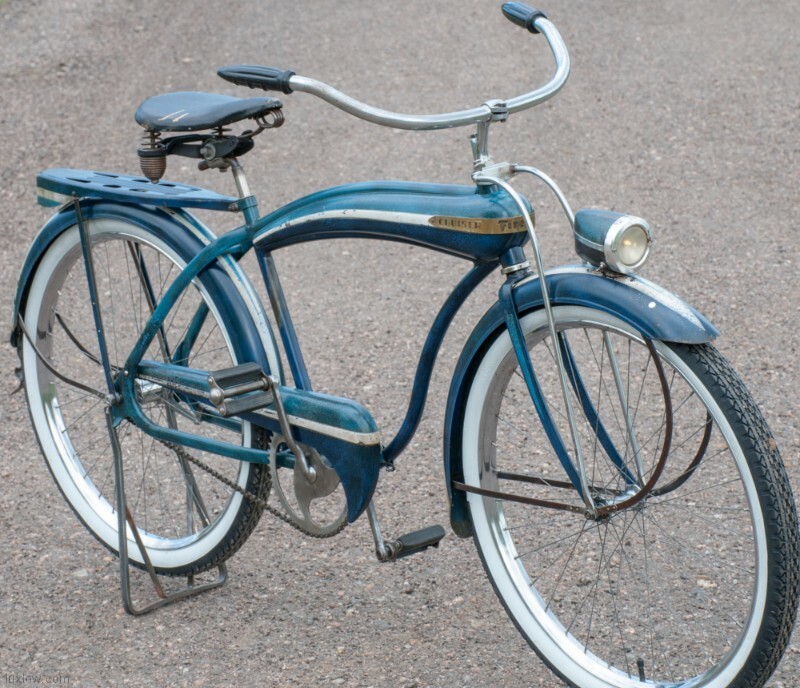 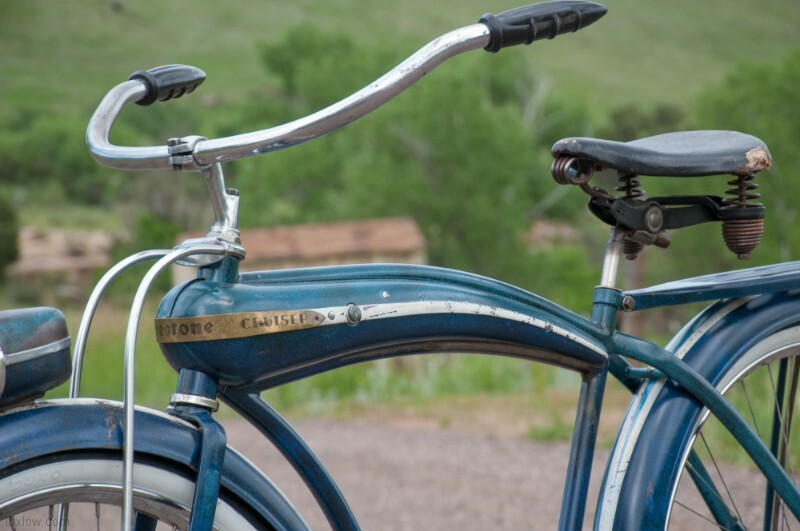 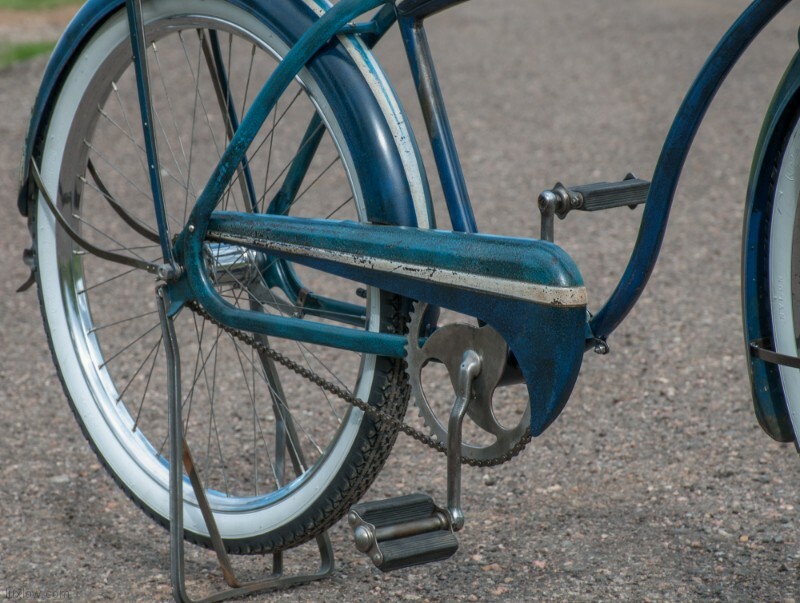 This 1941 Firestone Bullnose Cruiser Bike has great Patina and Character to match it’s age. 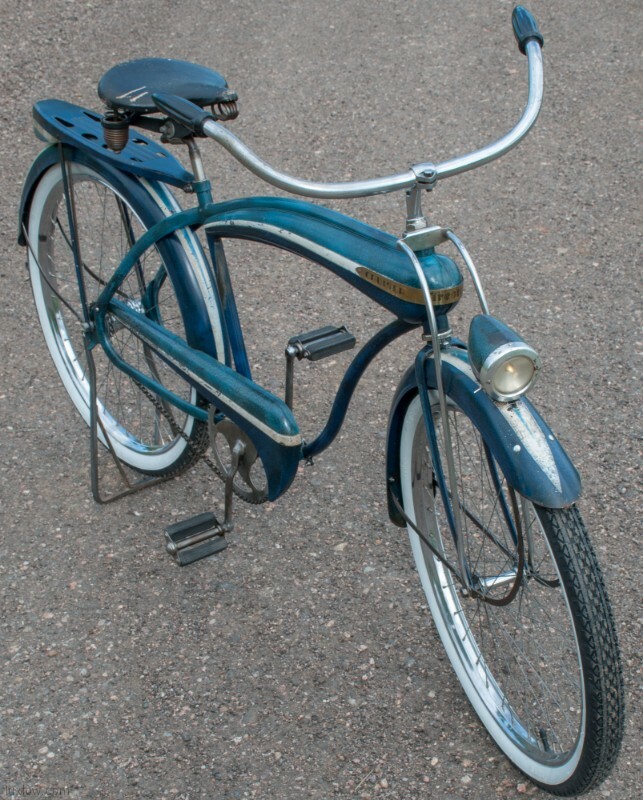 This Prewar bicycle was made by Colson Corp. Elyria, Ohio for the Firestone Tire Department Stores. 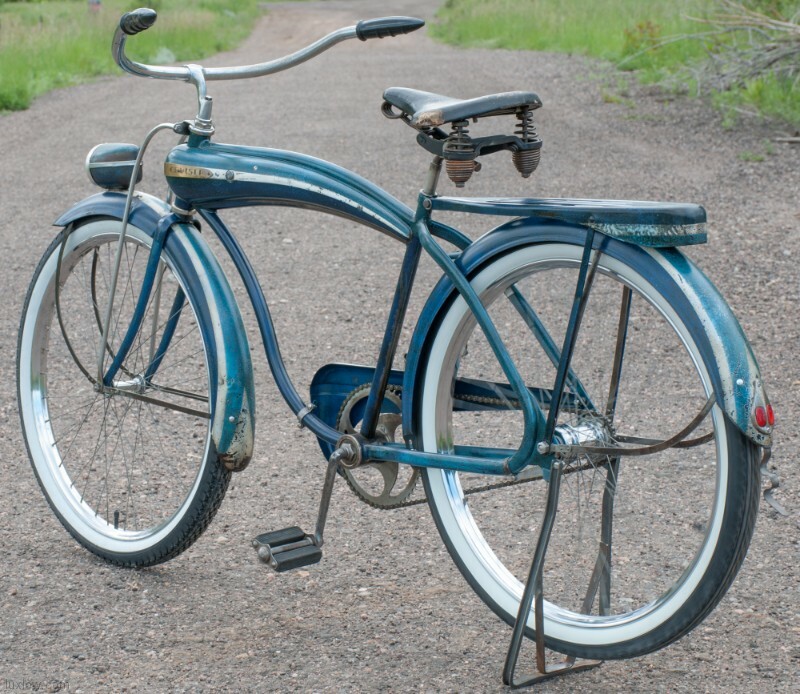 It’s a Rare Bicycle and was only in Production about one year, Pre World War 2, and did not resurface after the war. 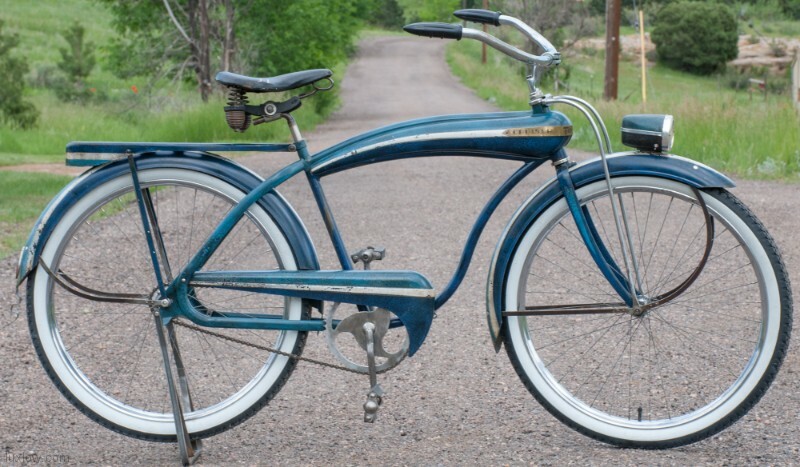 1940 and 1941 were great years for Amazing Ballooner bikes, I easily feel that Colson made some of the Best Bicycles out those years, even rivaling the absolute Quality of Schwinn Bikes. 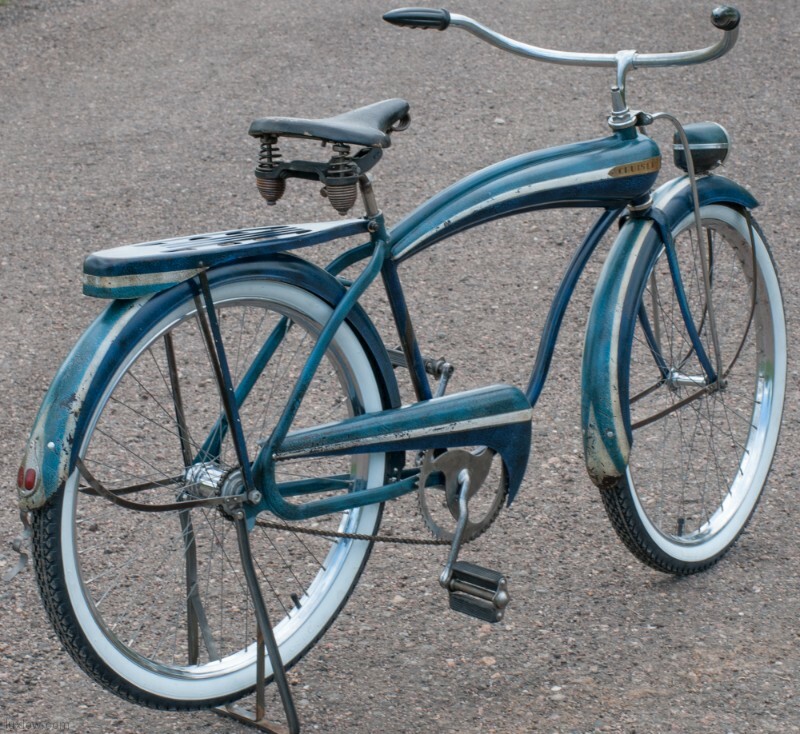 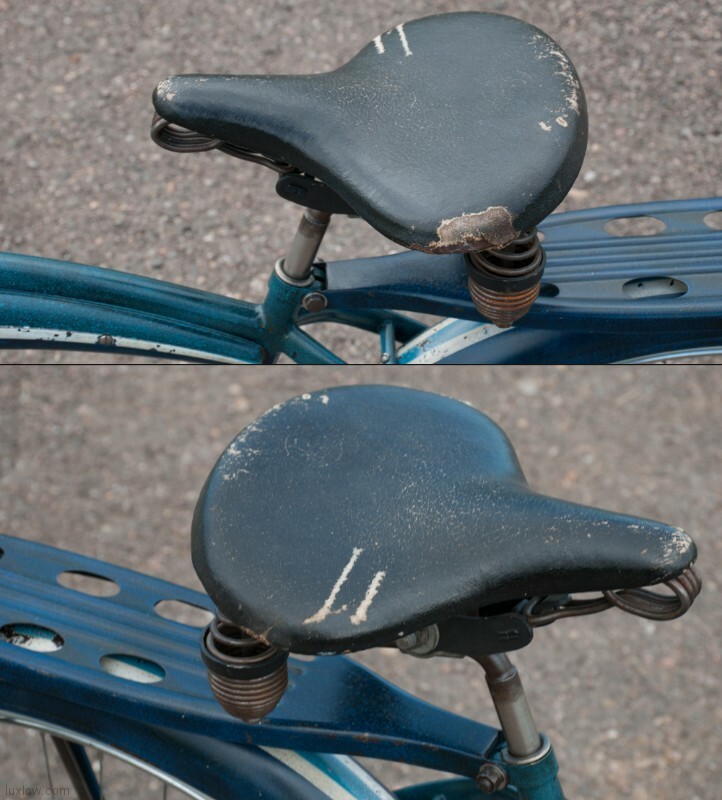 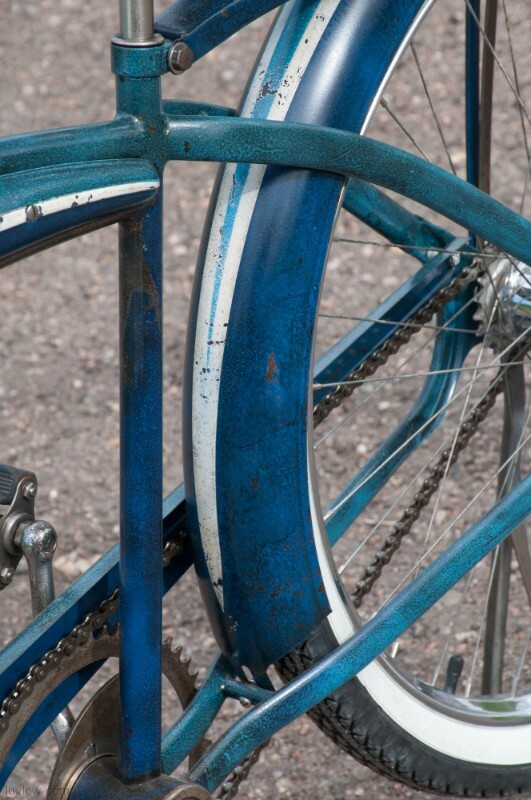 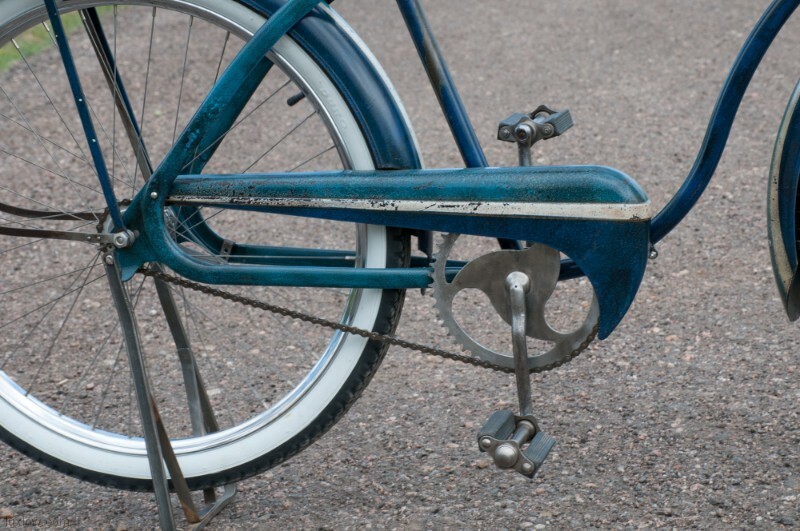 This Bicycle has Incredible Style and Design and is Highly Sought after by Collectors. 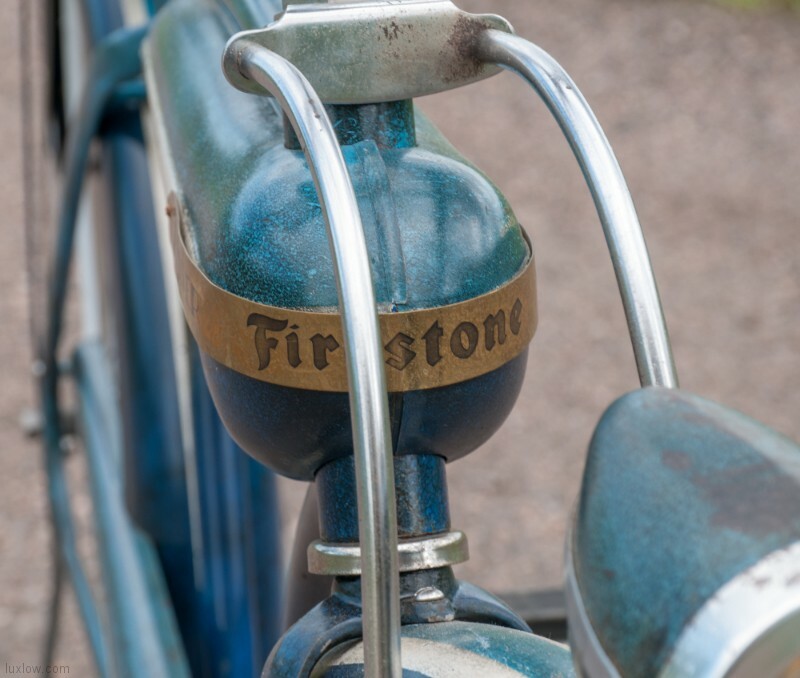 Take a Look and You can see why the Firestone Bull Nose Cruiser is one of my favorites and is truly One of a Kind. 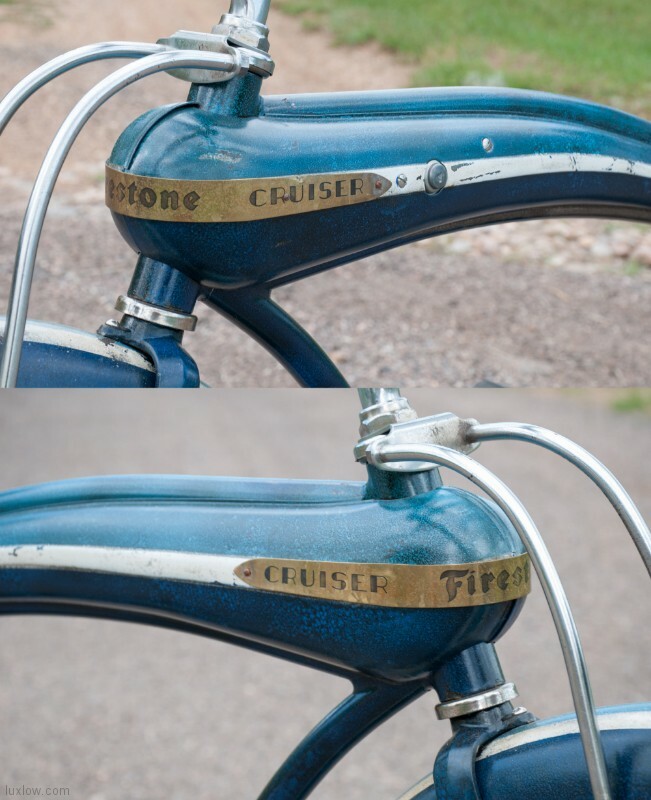 This Firestone Bull Nose Cruiser is Patina Restored, It has an Amazing Unique Tank with Wrap around Firestone Badge, Working Horn, Big deep Fenders with Unique Braces and a Colson Headlight, that is working and retrofitted with a High Efficiency LED., a Rack and Chain Guard, Drop Stand, and Deluxe Troxel Saddle. 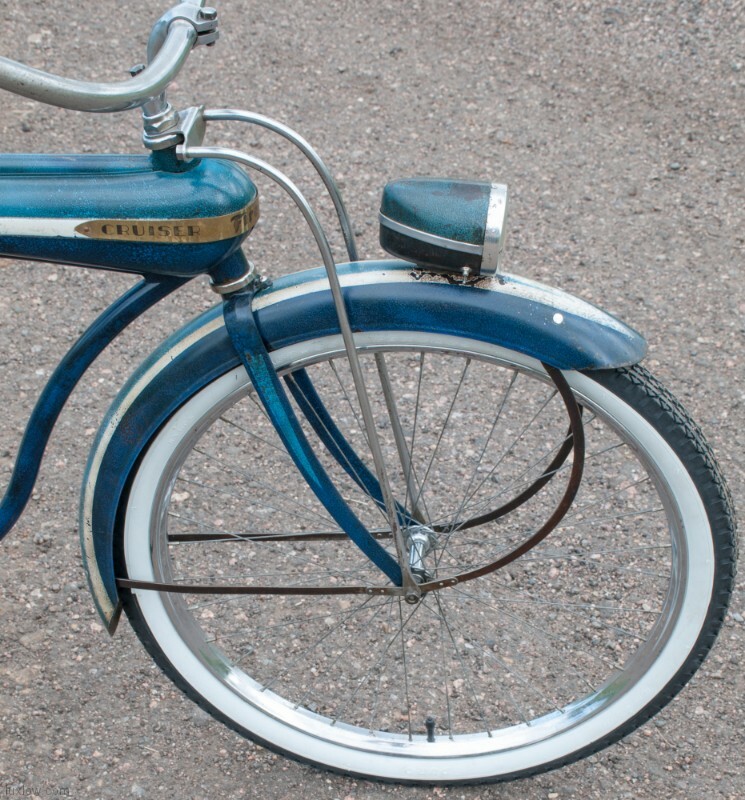 Cool Patina Paint with a 3 Colored Design. 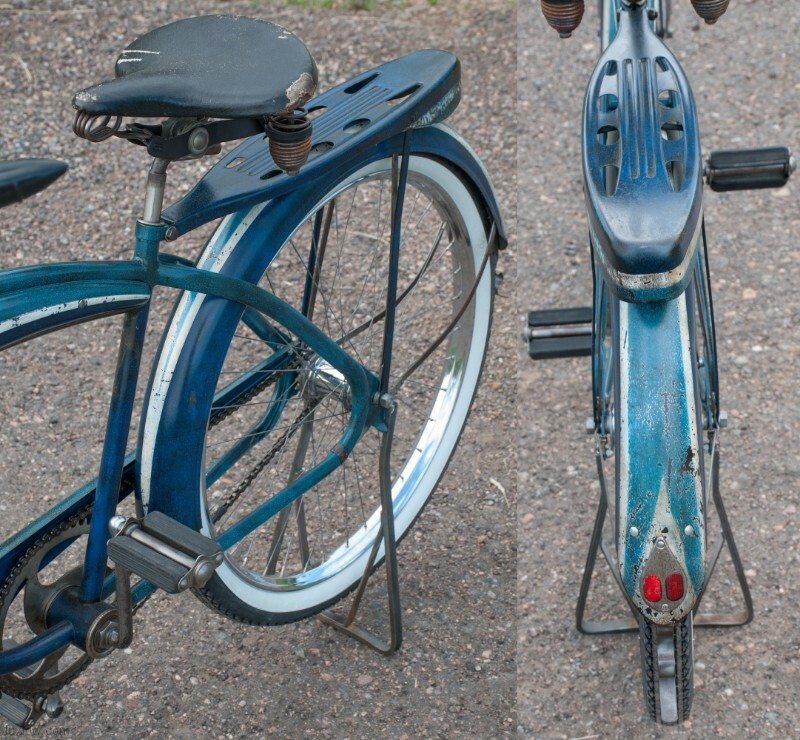 This Bicycle is Totally Rebuilt and Mechanically Superb. 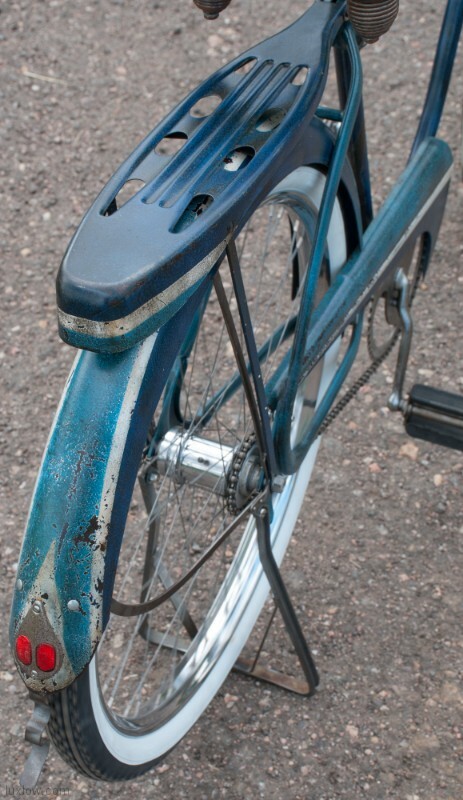 The Painted Parts were Deep Cleaned and Patina Resealed. 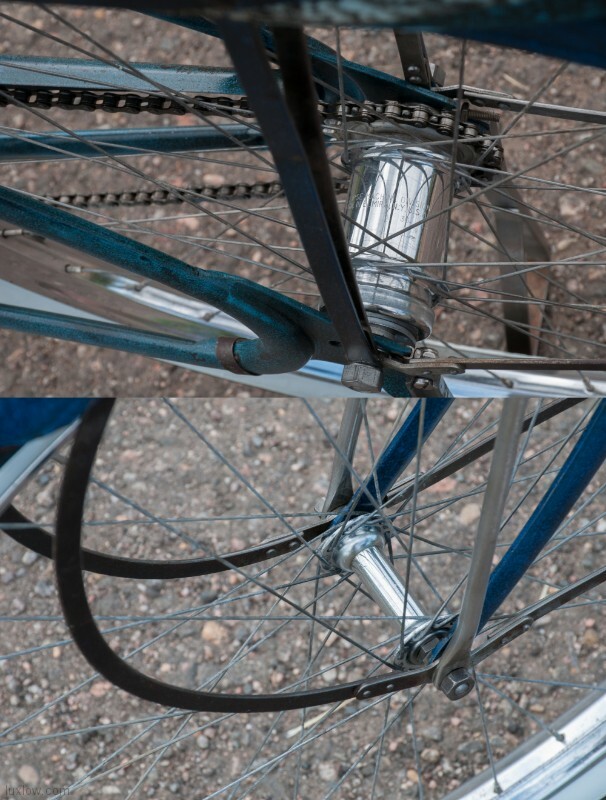 The Original Colson Front Hub and rear Morrow Coaster Brake are Rebuilt and Spin Smooth. 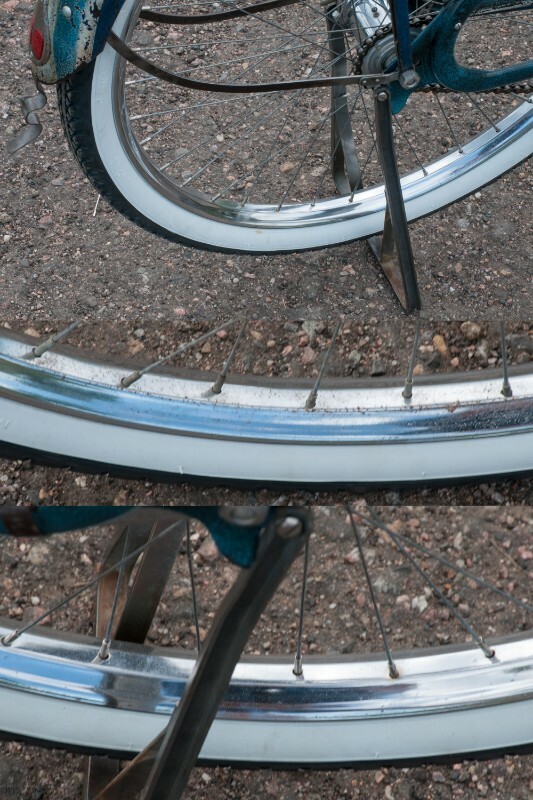 The wheels are Re laced and trued to Prewar Drop center rims, and the bike has New 26″x 2.125″ White wall Balloon Tires. 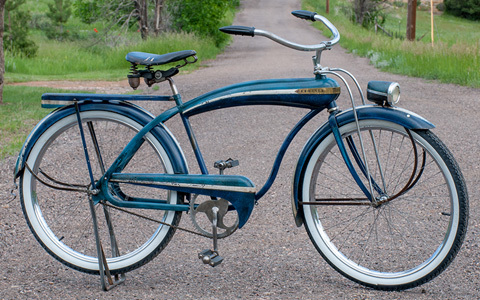 This Firestone Bull Nose Cruiser is a Full-Size Adult Bicycle that Rides Smooth and Turns Heads.